One sip and you’ll understand why the Clover Club Cocktail is a classic. 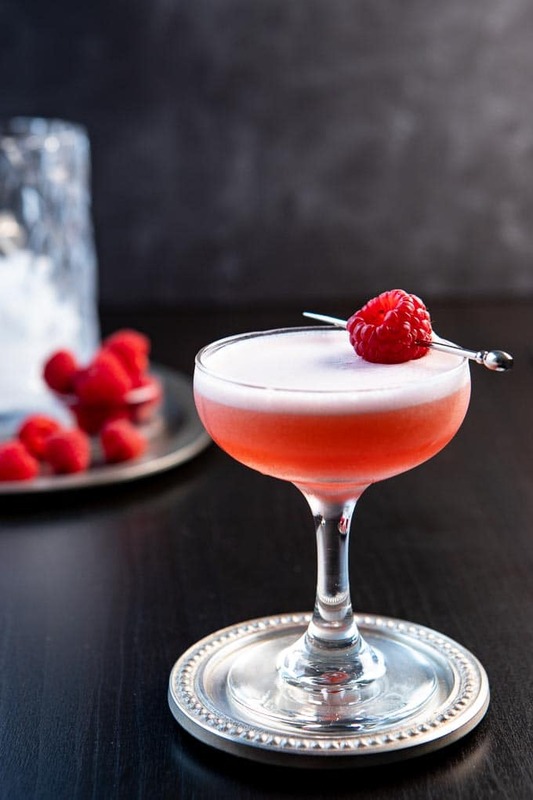 A sweet, tart and creamy concoction of gin, lemon juice and raspberry syrup crowned with a foamy egg white, this gorgeous sipper is easy, pretty and delicious! 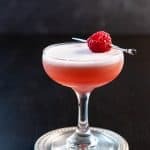 The Clover Club Cocktail – a deliciously simple classic cocktail! I love beautiful cocktails. I also love cocktails with a short ingredient list like a Ruby Red Moscow Mule or this Aperol Tequila Cocktail. The Clover Club Cocktail checks both boxes and then some! A classic sour, this delightful sipper is perfectly balanced. Not too boozy but with enough oomph so you know you’re having a real cocktail! Hard to believe that this “girly looking drink” was once the preferred cocktail for an all-male group of lawyers and writers, isn’t it? How did the Clover Club Cocktail get it’s name? The Clover Club cocktail was named after an all male salon of lawyers, writers and other gentlemen who regularly met at Philadelphia’s Bellevue Stratford Hotel. The group included such luminaries as William Butler Yeats! Why was the drink named the Clover Club? It was named after the group. How the cocktail actually came about is still somewhat of a mystery! Can you make the Clover Club without the egg? You could certainly make this cocktail without the egg white, but it does lend a lovely texture to the cocktail. 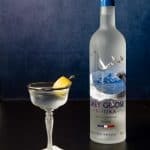 If you’ve never had a cocktail with an egg white, this is definitely the one to try. When to serve the Clover Club? 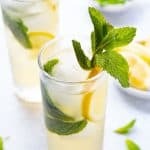 This classic cocktail is perfect for so many occasions. It’s a delicious pre or post dinner drink, and is surprisingly food friendly. 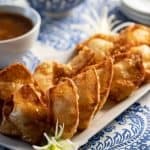 It also makes a delicious alternative to mimosa’s at brunch! The clover Club Cocktail – bright, fresh and absolutely delicious! Add the gin, lemon, egg white and raspberry syrup to a mixing tin and shake – don’t add the ice yet! Add ice and shake again and strain into a cocktail glass. Garnish with a raspberry and serve! Don’t use a commercial raspberry syrup! 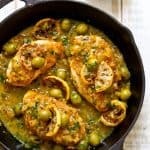 The homemade syrup is so easy and makes such a difference in the flavor! 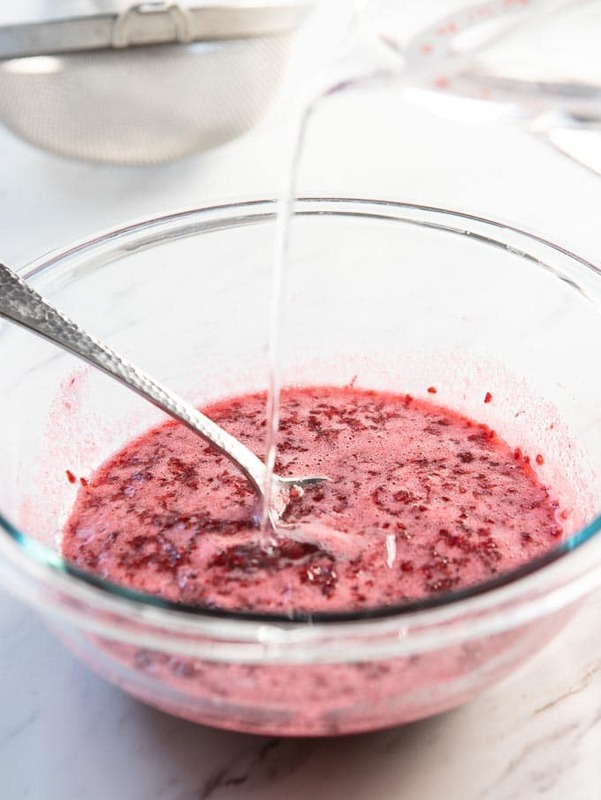 While you can make raspberry syrup more quickly by cooking it, try my method instead! The raspberry flavor is wayyy better!!! If you want to make this cocktail for crowd, you can combine the gin, lemon juice and raspberry syrup ahead of time. Then all you need to do is measure it out add the egg white and shake! If you are concerned about using a raw egg, you can use pasteurized eggs. 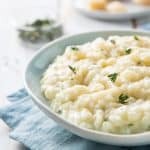 Other Sour Cocktail recipes for your quaffing pleasure! Love this cocktail? Share the love and rate it!! Thank you so much for visiting! Cheers!!! 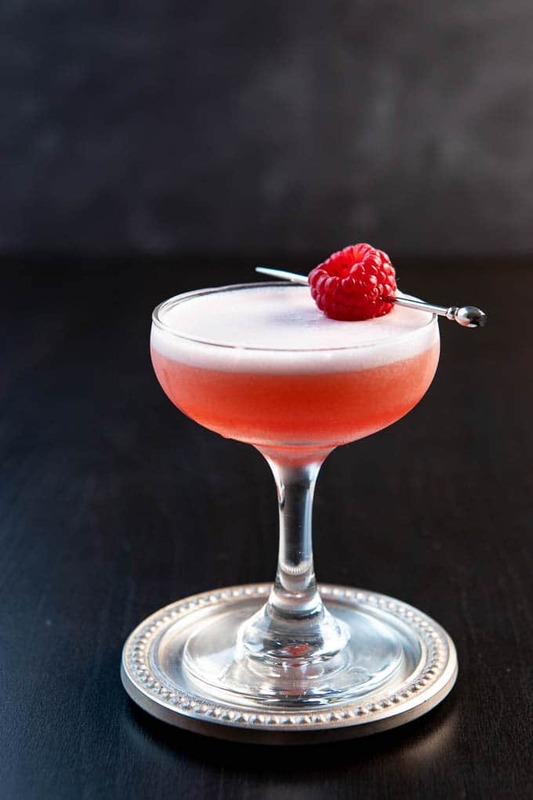 A sweet, tart concoction of gin, lemon juice, and raspberry syrup all crowned with a frothy egg white, the classic Clover Club Cocktail both pretty and easy! It’s just as home on the table for brunch as it is on the bar before or after dinner! 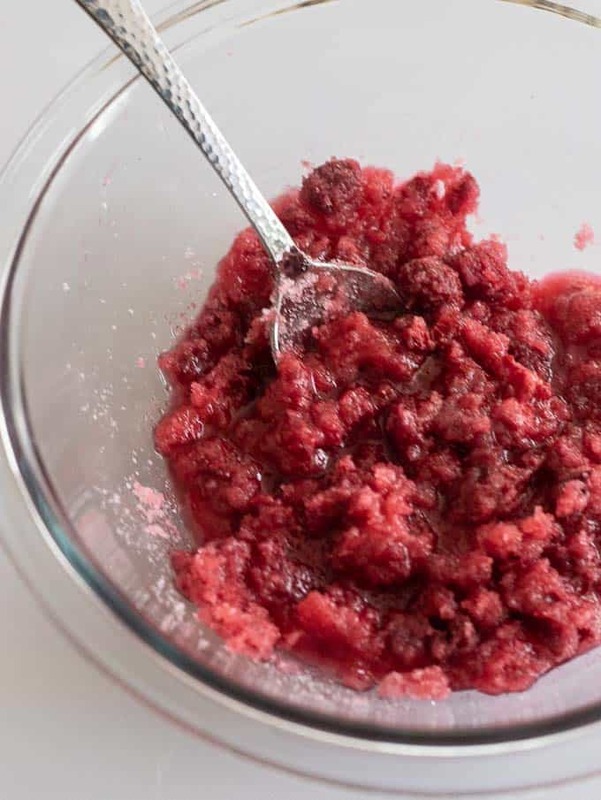 Combine the raspberries and sugar in a bowl and stir to thoroughly combine. Allow the raspberries and sugar to sit for about 20 minutes, stirring every so often. Add the water to the raspberry mixture and stir to dissolve the sugar. 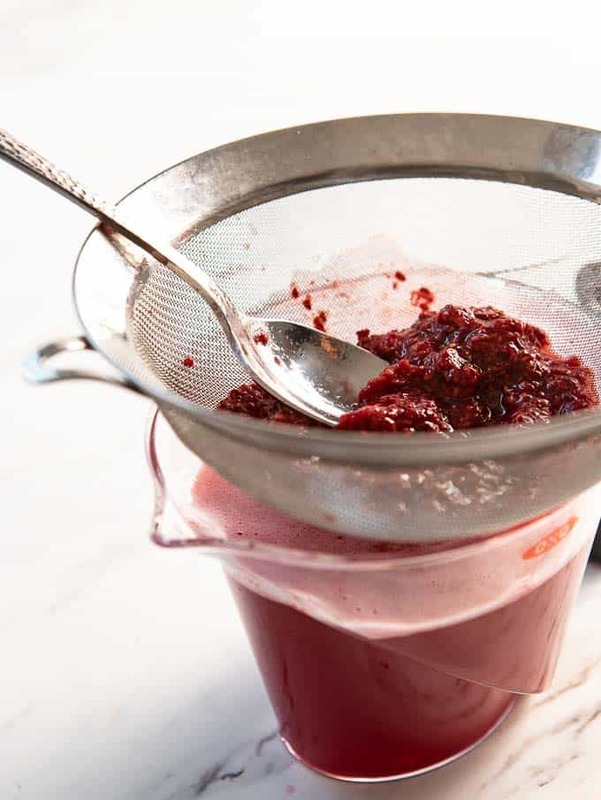 Strain through a mesh strainer, pressing on the raspberries to extract as much syrup as possible. Transfer to a clean glass jar and refrigerate. The syrup should last about 10 days to 2 weeks. For longer storage, add a tablespoon or two of vodka to the mixture and store in the refrigerator. Combine the gin, vermouth, lemon juice and raspberry syrup in a cocktail shaker and shake for about 10 seconds. Add ice and shake again for 10 – 15 seconds until the tin is cold. Strain into a coupe and garnish with a fresh raspberry if desired. I like a less juniper-forward gin in this cocktail. Hendrick’s and Ford’s both work nicely in this drink! 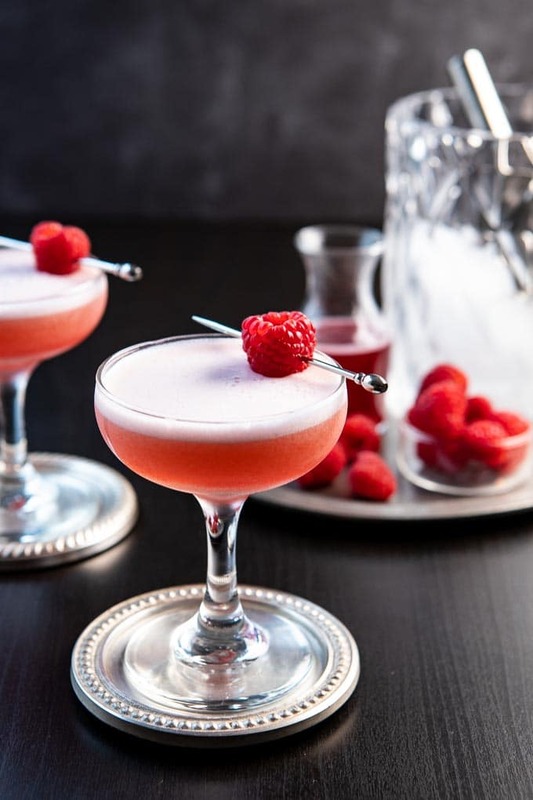 There are a lot of recipes for the clover club – some use simple syrup and fresh raspberries, commercial raspberry syrup or raspberry preserves. 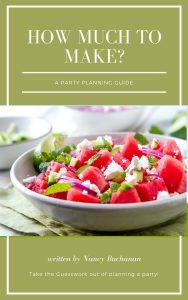 All of these alternatives to the raspberry syrup work and do make an acceptable cocktail. BUT, I strongly recommend you make the syrup – it makes a huge difference in the flavor of the cocktail. 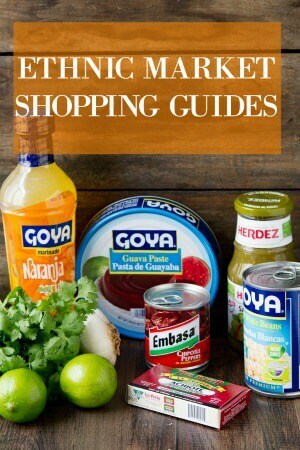 As for the egg white, if you are concerned about Salmonella, you could use pasteurized eggs. 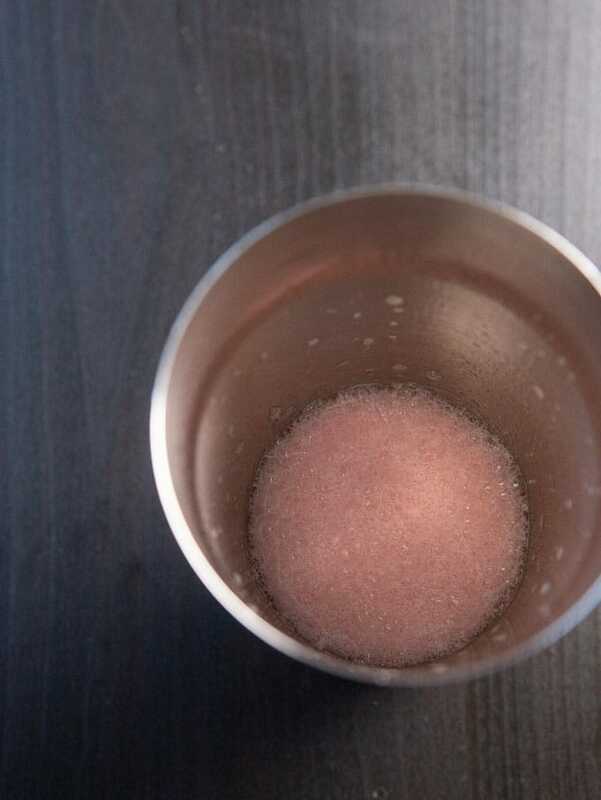 You could also make this cocktail without the egg but the texture will be different. If you enjoyed this Clover Club Cocktail, I would love for you to rate it!! Hi Valentina! Awww… thank you!! I thought the same thing – I kept seeing these “manly men” sitting around drinking these frothy pink cocktails..LOL!!! I have to say, even if you don’t make the cocktail, the syrup is definitely worth making – it’s absolutely delicious with sparkling water. The cold maceration is brilliant!! !